About - A Rose Is A Rose Is A Rose! Hi. I am Shilpa Garg. This is the “About” page, so I should probably tell you my story. I am getting older by the day. I have done MBA and I have worked for a decade in the Brand Management Team of leading Pharmaceutical companies and then moved on to work as a Soft-Skills Trainer. I am passionate about reading books and baking cakes. I observe a lot by watching and that gives a lot of fodder for my blog. I love finding extraordinary in the ordinary life around me and that reflects in my posts on this blog. I have been blogging since 2009 and still love every minute of it. Making lists calms me down when I am overwhelmed with life and work. As much as I love getting a cup of coffee/tea and enjoying some alone time with a book, having a conversation with friends over coffee/tea is something I relish. When all seems to be doom and gloom, I believe in finding positive possibilities. I don’t like being caught unawares. I am obsessed with washing and cleaning and I know it’s getting out of control. I have one husband (aka KG) and one teenage son (aka AG or Aaryan) who feature a lot in my musings and stories. They don’t read my blog, but they are supportive of my writing. So, welcome! I’m so glad you’re here! And Goodreads if books interest you. I’m kind of new on Pinterest! If all else fails, just contact me through this form. I’ve sent you a message and a connect request on Facebook. Can you please check? Your blog “shilpaagarg.com” is probably one of the most interesting ones I’ve seen recently and with due reason. I was wondering if I could do a guest post for your blog. Thank you for such a wonderful review of my book. I am glad that you liked the book. I m proud to be a fane cuz when I’m stressing it’s the only where that I’m feeling good there. We are looking for joying ,loving and every thing to be able to make my live alive. I happened to see your blog recently and finds it very impressive. I work for an online firm. I would like to submit a sponsored guest post on Online shopping. Let me know the procedures and the commercials involved. My name is James Ervin and I’m a freelance media manager in an established online media agency. My Company is looking to post an article or a banner (for a fixed fee) in your website. My name is Amy, and I work with HH Staffing Services. We are an employment/staffing agency helping both job seekers and employers connect with each other. I was curious as to if there were any opportunities to feature HH Staffing on your website in any shape or form? We have a popular blog, and enjoy writing about a variety of topics within the employment industry. If there are any opportunities through your website I’d be very interested in learning more. My team have gone through your Blog and social media profile and we are impressed by the traffic and followers list that you have. The reason we are sending this mail is we are starting Adsparta.in (an influencer marketing platform connecting Brands with best social media influencers/Bloggers).So we are looking for influencers who are expert like you to join our platform,so that we can help you to connect with various brands to create premium content for them and get paid for it. Looking forward for your sign up at http://adsparta.in/ We promise we will notify you once we go live. I am a follower of urs on here and on goodreads. I am really missing your short stories (fiction). Please please do write more. Love to read them. Have read all of it until yet. Thanks in advance. I am looking to contact bloggers to know their experience with social-friendly content (short and informative with lists, how-tos, quizzes, polls, images, videos). Here are a few samples for you to look at, to know what exactly I’m talking about. We are building a free product for bloggers that works with existing blogs. We want to engage closely with tech-savvy early adopters who like to experiment with content. If you want to try it or know someone with whom I should connect, please reply or let me know when could we have a quick chat (not more than 10 minutes) regarding this. This is Dean Mascarenhas from Adsiduous Media – A premium global ad network that connects quality sites with the highest paying advertisers. We have been indirectly buying your inventory from several Ad exchange platforms like 33 Across and upon close review of your inventory’s performance we determine that we would able to generate much higher CPM’s and know we can sell your inventory at prices higher than average. Adsiduous Media has access to premium high spending advertisers and would be happy to consider a direct relationship with you. I would appreciate the opportunity to speak to you more about this opportunity. please let me know a time that suits you best. Hope to hear back soon & thanks for your valuable time. Publisher Development Manager, Adsiduous Media. Tel: 425-429-7597 | Skype: dean.mademedia. Add:500 Yale Ave N, Seattle, WA, 98109. Thank you for making the #atozchallenge so much fun, I have gained so many followers and it has boosted my confidence immensely. This is my first time and I am looking forward to participating in many more. Hi Shilpa… my name is Tegon Maus. I wanted to thank you for your comments about my book The Chronicles of Tucker Littlefield. If you’re interested I would be happy to send you a free copy. Please contact me with the format you would like… mobi, epub, PDF whatever you need. Thank you for the three star rating for my book Miss Adventures on goodreads.com. I can see you are a voracious reader so that rating is worth something to me as a first time author. totally enjoy reading your short pieces. great mind and writing skills. i look forward to more. also appreciate you reading my blog. buenos tardes from Ecuador! 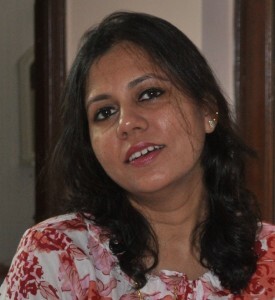 Hi Shilpa, nice to be here reading about yourself:) thank you for sharing all about you and yes I feel warm and happy. I have not been able to access your blog from my home computer…. glad I could from my work place. Like the new look of your page:) the layout and colour is beautiful- calming. Hello from Los Angeles! Thank you for your review of Hard Work is Not Good Enough. Your blog feels more like I am sitting with your other guests having tea. It is a warm and welcoming site for both writers, and visitors.